We offers smooth, cost-effective and efficient migration from Microsoft Visual FoxPro to the latest .NET Framework providing your business a competitive edge. . . . .
Our Web Development services provide creative and professional Web applications to empower your business online. It’s a combination of latest technology. . . . .
Macrosoft supports all phases of integrated print solutions through our Advanced Composition Development Solutions (ACDS) with proven expertise in on-demand print. . . . . Commitment to quality and client satisfaction we follow a well-defined “Quality Management System” on the lines of the Capability Maturity Model (CMM). . . . . Application Development was Macrosoft’s traditional strength, servicing blue chip companies with multiple-year project contracts and cost savings for the clients. 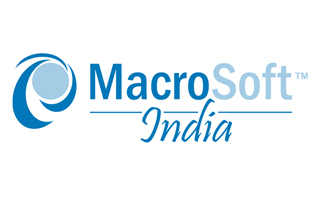 . . . .
As a trusted partner Macrosoft takes care of all your websites recurring needs with our dedicated team committed to keeping your website safe and updated at all times. . . . .
We have a well-defined proven process in place that is built over years of experience specifically designed to meet client satisfaction. Our ongoing services ensures maintaining efficiency with continued improvement at every stage until project completion. Stay up-to-date with the latest in technology, providing our clients with solutions that are in tune with the most recent developments. Adherence to well defined quality standards is our motto, which outlines all activities required to meet the quality objectives. During project delivery we organize all the procedures and components required to build and design a completed project. Propel your business, the Macrosoft way!